Scott Addis was born in a small rural community in 1963. 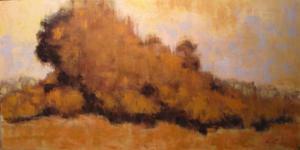 He now lives in the province of Quebec, where he has been painting landscapes “en plein air”. Scott has said that his move to Canada has allowed him to tour the country and gain tremendous insight and inspiration from our rugged tundra and its many splendorous seasons. He currently paints out of his own studio in Montreal. His works have made their way into many private and corporate collections, including the Government of Canada and various public museum collections in the United States.